This lightweight, latex free, non-magnetic MRI stethoscope comes with a non-chilling contact diaphragm of high sensitivity. This unit was designed exclusively for use in high magnetic fields. This MR-Conditional, Latex Free, Sprague Rappaport Type Stethoscope is equipped with three sound-collecting bells in large, medium, and small sizes, suitable for auscultation of infants, children and adults as well as fetal heart sound, breath sound, and high and low heart sounds respectively, based on the area of auscultation and range of frequencies to achieve an optimal sensitivity of frequency response. 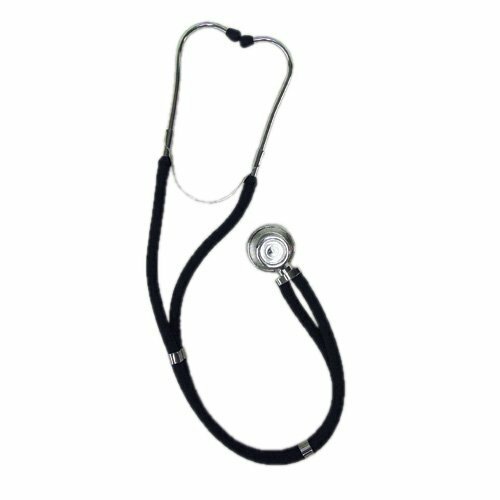 Acoustically designed for exceptional sound conduction, this stethoscope features an updated profile, high portability and a multi-pocket bag for relevant accessories and replacement parts.